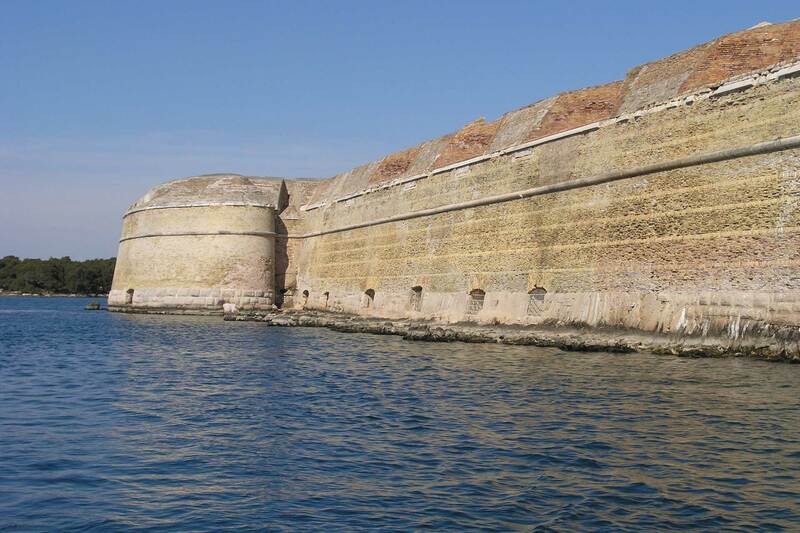 The Fort built at the entrance to the narrow mile long channel of St Ana which is the access by sea to the Šibenik bay became an important strategic defensive structure which contributed to the impregnability of the Šibenik port and city of Šibenik. 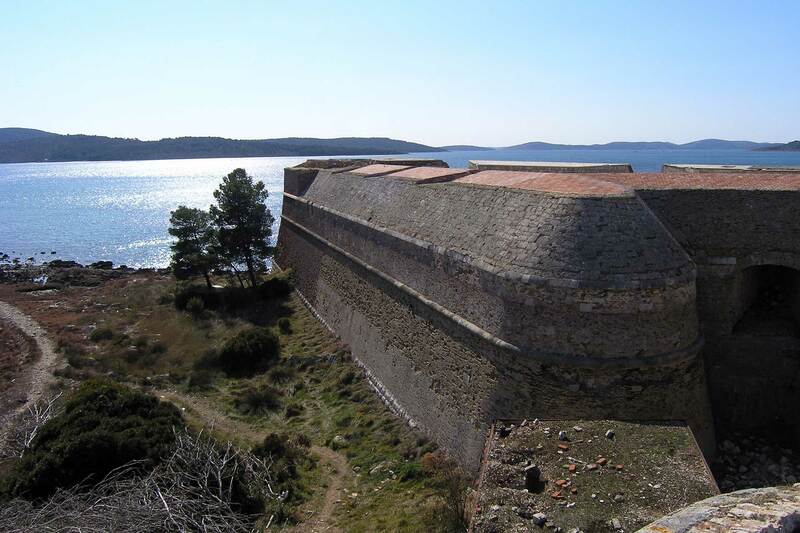 Fort of St Nikola was an important building undertaking not only for the City of Šibenik but also for which ruled Šibenik from the year 1412. 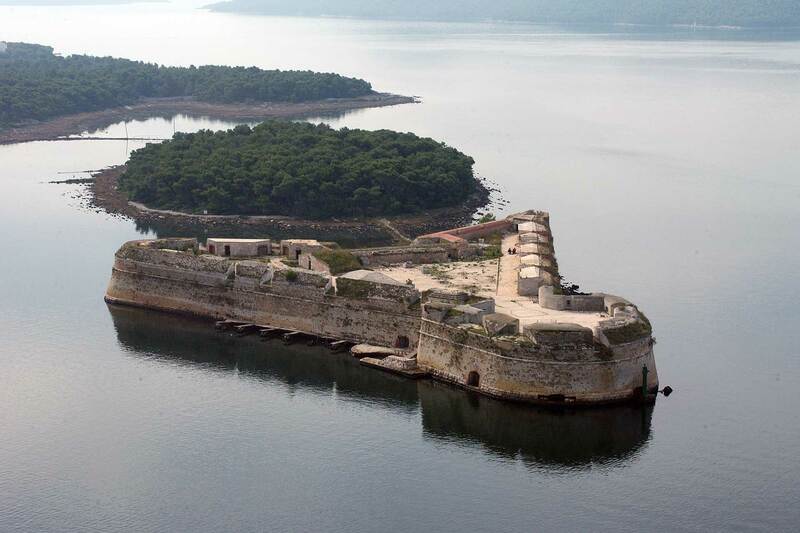 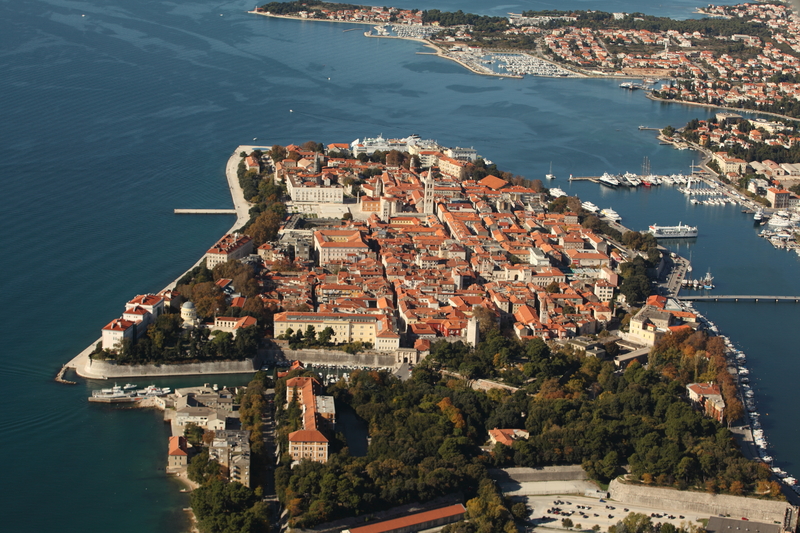 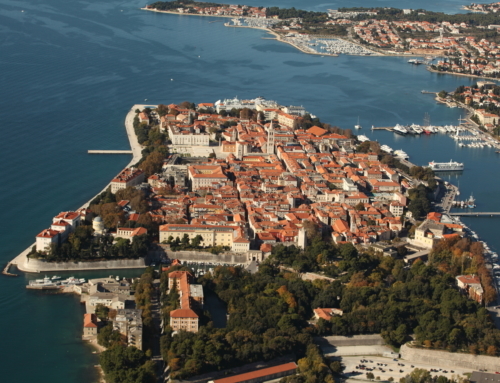 The only entrance into the Šibenik bay was through the mile long channel of St Ante, which made possible the effective defence and complete control of the entry of ships. 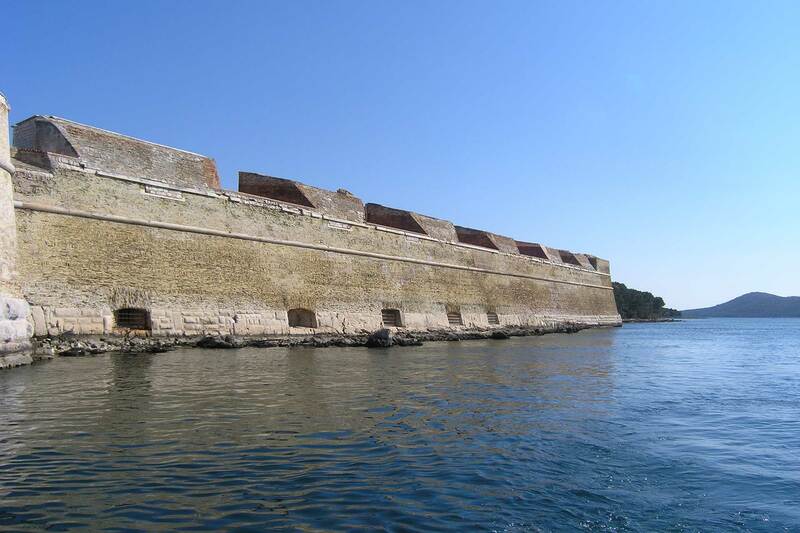 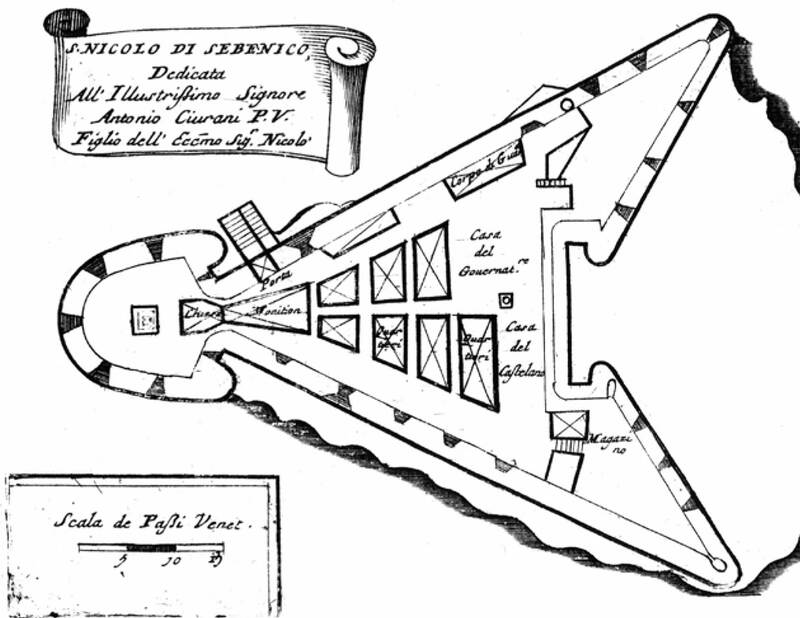 of “alla moderna” Venetian creation; an extraordinary example of an isolated defence work risen in the sea. 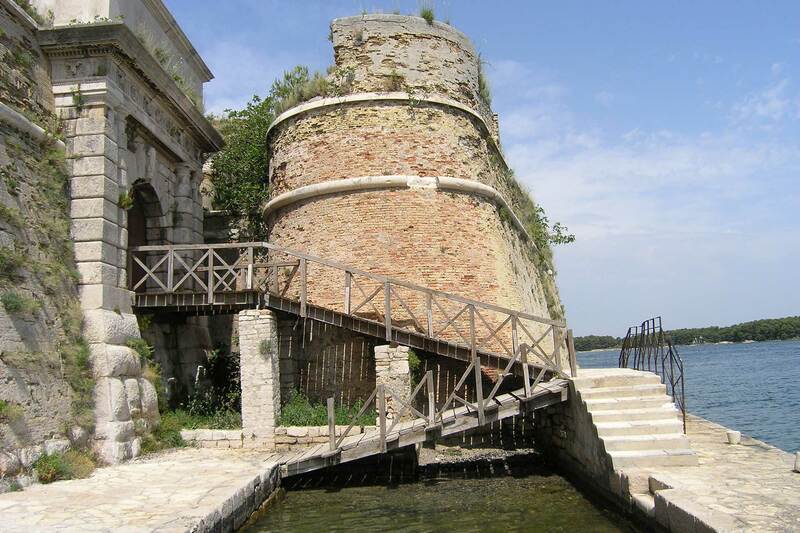 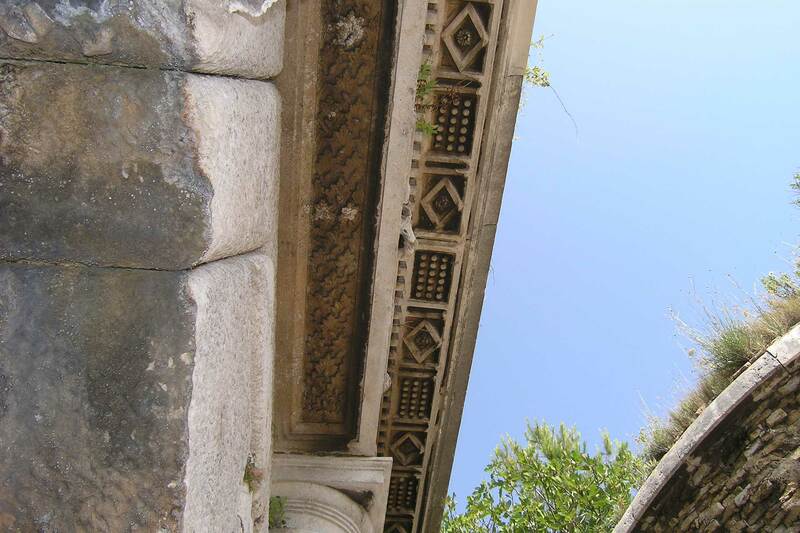 The only one in the “Stato da Mar”, its only reference can be found in the Fort of St Andrea which was built around the same time by Girolamo Sanmicheli – Michele Sanmicheli’s nephew and collaborator – to defend the capital city Venezia. 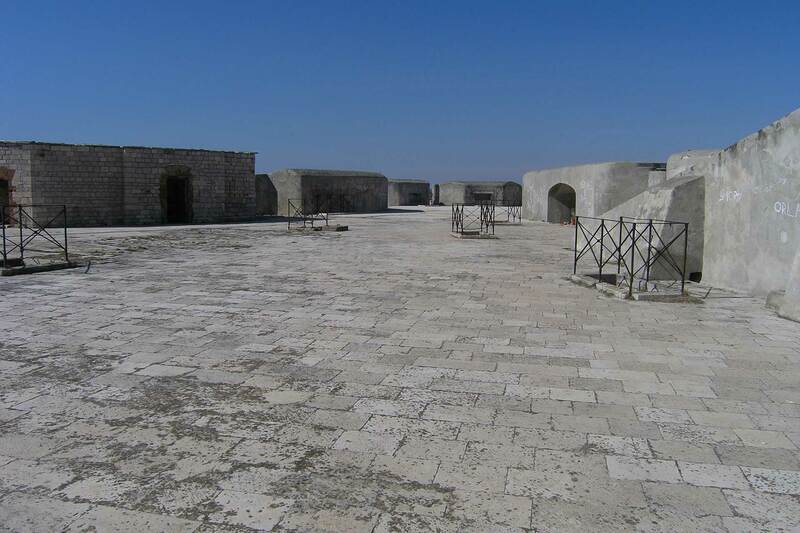 Nonetheless, in the Šibenik area, the military aspects were given more importance than the ornamental ones, leading to some unusual differences between the two works which, nevertheless, are both qualified to fall within the selection presented here. 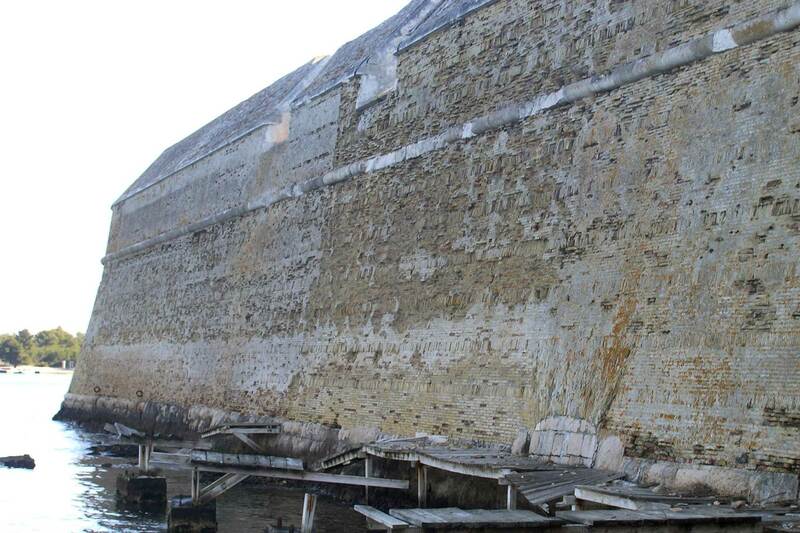 The perimeter insists on the profile wall of the fort. 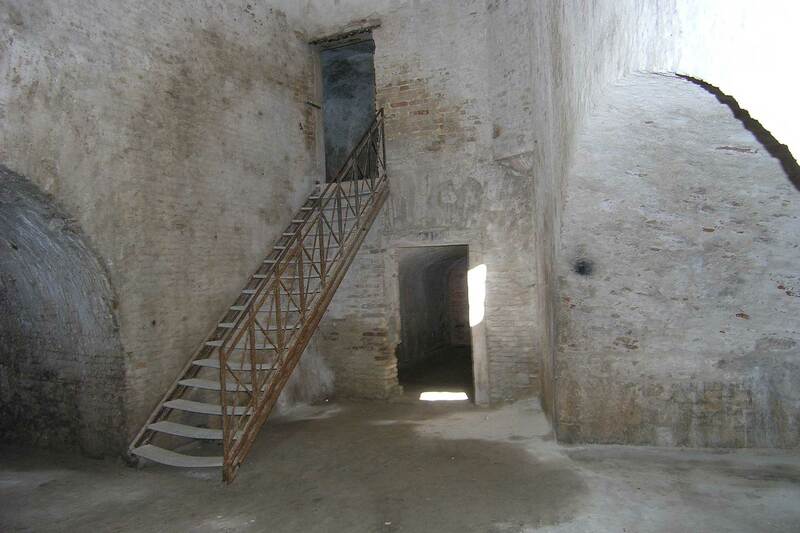 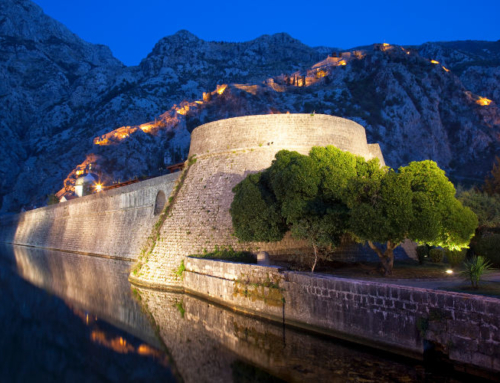 The whole area of the fort is protected by the laws of national protection. 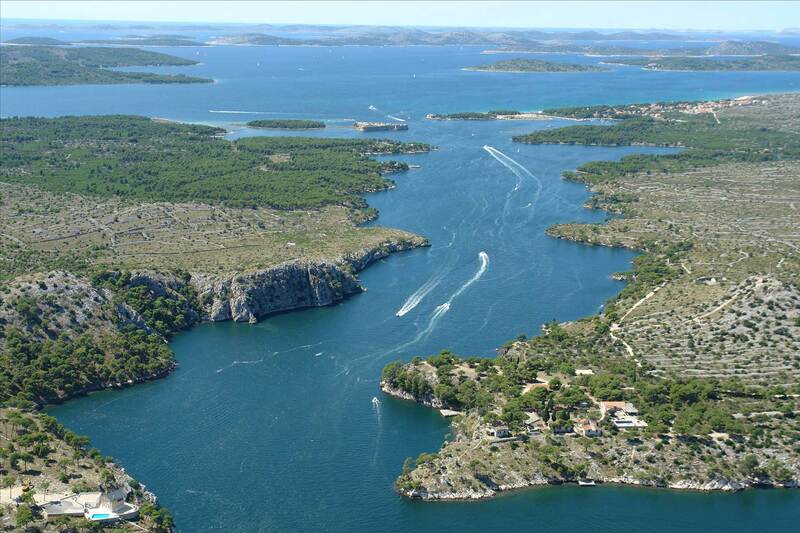 The area chosen as buffer zone has been selected within the ‘Kanal Luka’ area, categorized as” Protected Areas -Category V “in the IUCN classification, characterized by a “Significant Importance”. 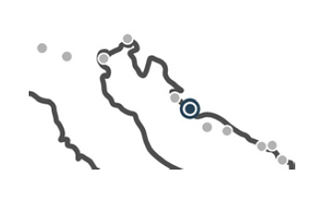 In particular, on the coastal sides, a buffer of 300 m has been included as considered in the protection plans available for the area.